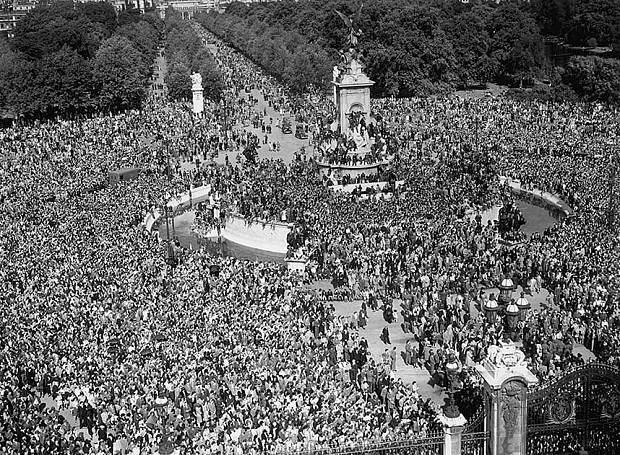 Today is VJ Day. As Britain prepares to commemorate the end of the Second World War, it will be joined by people around the world - including the people of China. Our own solemn commemorations take place in Beijing on September 3, marking the 70th anniversary of what we call the World Anti-Fascist War. 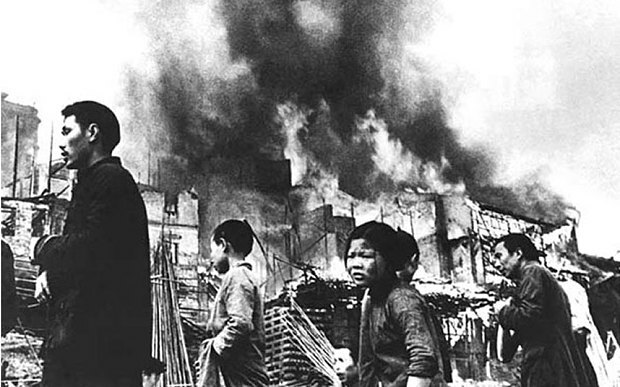 For many years, Western history and school textbooks have said very little about the battles in the Far East, especially the Chinese people's war of resistance against Japanese aggression. The enormous sacrifice of the Chinese people often seems to have been overlooked or forgotten. So it is gratifying that in recent years British historians have begun to revisit this part of our shared history. Such studies demonstrate an objective and just attitude as well as due respect for the history. During that resistance war, China pinned down and fought against the main force of the Japanese. To achieve that, both China's military and its civilians made enormous sacrifices – 35 million casualties. That's about 70 per cent of the total population of the UK at the end of World War II. Strategically, the war in China has supported Allied operations in Europe and strategic moves in the Pacific theatre. It also prevented and upset coordination between the fascists in Japan and the fascists in Germany and Italy. Like the British people, the Chinese people made an indelible historic contribution to the victory against the fascist forces. But they did not do so alone. History reveals enormous sympathy and support for China's resistance war from the UK government and people. British soldiers fought side by side with their Chinese comrades. In the Far East, the British military forces sustained tremendous losses, including 90,000 casualties on the battlefield, of whom 36,000 died. There were 12,000 deaths in Japanese PoW camps alone. The British people also set up various organisations in support of China's resistance war. They told stories about China's efforts, raised funds, and collected aid materials for China through donations, charity sales and performances. 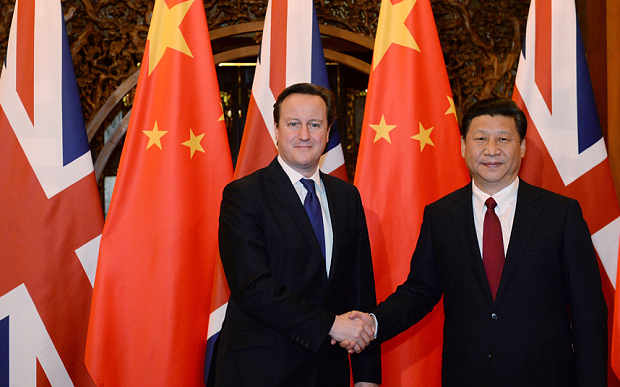 The Chinese people will never forget Britain's friendship in their time of need. Likewise, China's military and civilians showed great courage and valuable partnership towards Britons. In 1942, the Chinese expeditionary army fought and defeated the Japanese troops in a series of deadly battles spanning over 1,500 kilometers in Myanmar. This operation, while incurring painfully heavy casualties on the Chinese army, successfully lifted the Japanese siege on the British troops. Also, in 1942, fishermen from Dongji Island of Zhoushan Islands in China risked their lives trying to rescue hundreds of British PoWs who were prisoners on the sinking Japanese vessel Lisbon Maru. The fishermen brought their only clothes and food to help the soldiers they saved. In the European theatre, 24 Chinese naval cadets took part in the Battle of Normandy. Their courage and bravery were praised by Prime Minister Winston Churchill. Aldous Huxley once noted: "That men do not learn very much from the lessons of history is the most important of all the lessons that history has to teach." As we remember the fallen soldiers and civilians on VJ Day, we must never forget the calamity suffered by human society and civilisation at the hands of the fascist invaders. History must be remembered in order to prevent attempts to deny the atrocities and crimes of the Japanese aggressors, attempts to distort the history of the Second World War and attempts to whitewash militarism. History must be remembered so that Japan will face squarely its past of aggression, avoid taking the same disastrous roads of 70 years ago, and adhere to the path of peaceful development. This is the only way to win back the trust of its Asian neighbours and the international community. Yet remembering history does not mean prolonging hatred. Britain and China were not only victors of the Second World War, but founding members of the United Nations. 70 years on, we remain comprehensive and strategic partners. We both have the responsibility to uphold the outcome of that victory and safeguard the post-war international order. As we continue to build on our partnership, let's join hands in writing a new chapter of peace for all mankind.